Expo Veneto: Discover the beautiful collections of Eyeglass Museum! Event > Discover the beautiful collections of Eyeglass Museum! 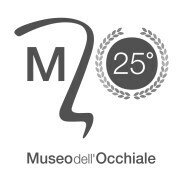 The Glasses Museum is designed to collect, study and preserve the heritage of objects, images, written and oral statements concerning the history of eyeglasses and other optical instruments in its various manifestations, and to document the development of the industry 'eyewear and its outbuildings in the province of Belluno. The enhancement of this heritage and dissemination of historical and cultural aspects to it is another underlying objective of this cultural institution. The will of the members of the non-profit Foundation Eyeglass Museum - Mountain Community Center Cadore, Magnificent Community of Cadore, Assindustria Sipao, ANFAO, Unione Artigiani, Appia, Cgil, Cisl and Uil, Province of Belluno and the Chamber of Commerce, Industry and Crafts of Belluno - and the town of Pieve di Cadore to give a more appropriate place in this rich documentary heritage object and led, in August 2007, the construction of the new museum at the site of Cos.Mo., in Pieve di Cadore. The building, of modern design, has been restored by the Municipality of Pieve di Cadore and the Mountain Community Center Cadore, who also financed the construction of the new museum and the decor of the multi-purpose room, with the support of the Veneto Region and the Fondazione Cariverona. In 1956, to coincide with the Olympic Winter Games, it was inaugurated in Pieve di Cadore the first "Show the glasses through the ages", then revived in 1959 at the University of Padua. On that occasion, the curator Enrico De Lotto advocated the establishment of a National Museum of Glasses in Cadore. The dream of the scholar Cadore would be realized many years after his death, thanks to the efforts of Vittorio Tabacchi, chairman of Safilo already, collector of glasses, that was activated for the acquisition of some important collections. The joint action of the Veneto Region, the Cassa di Risparmio di Verona, Vicenza, Belluno, Ancona, the Mountain Community Center Cadore and other organizations and associations, such as ANFAO, Banco Ambrosiano Veneto, the Chamber of Commerce Belluno, the Consortium Belluno eyewear frames, the Province of Belluno, the Assindustria Belluno Sipao and Banca Popolare di Novara, allowed, in 1990, the inauguration of the museum in the Eyewear Tai di Cadore. The management of the museum was entrusted to the service center Eyewear until 1996, when it was established the Foundation Eyeglass Museum.